I got inspiration for this from a Magazine and thought I would do my own take on it. It's a concertina fold so it has a bit of depth. Sentiment not included, just add your own making it suitable for many occasions. Personal use only please and don't share the file just link back o this post. Très jolie carte, merci pour le partage. 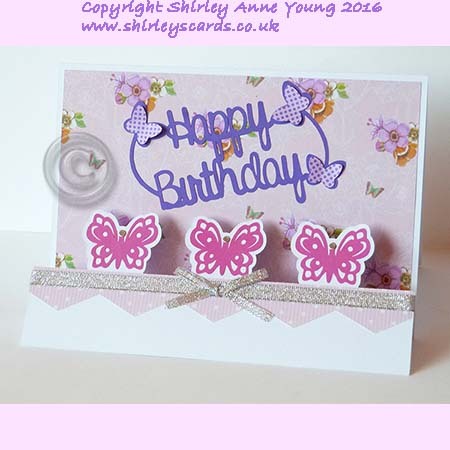 How very pretty, thank you Shirley. Thanks, Shirley. I can't wait to see how this works! Thanks Shirley your a doll. You have done it again Shirley !!!! I love butterflies and a different shape card as an added bonus !! Way to go, thank you so much. Thank you this is a lovely file.